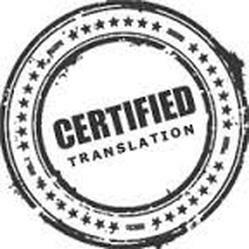 A certified translation is a legally valid translation done by a translator who has passed an authorised translators’ exam. An authorised (or sworn) translator affirms with his or her signature and authorised translator’s stamp that the translation is accurate and complete and that it corresponds to the original source document. The translator does not, however, verify the authenticity of the source document. Not all translations need to be certified, but translations of official documents, such as diplomas and certificates, are usually required to be certified. We recommend that you check whether or not you need a certified translation with the person or organisation requesting the translation. Requesting a quotation: Please send us your scanned document using one of our enquiry forms or by sending an email to info@kaantamo.com. If you cannot scan and email your document, you can bring it to our office in person or send a copy by post. Billing: Please state your invoice address. The invoice will be sent to you with the translation. Delivery: There are three options for sending you the translation, depending on if we are translating from a copy or if you have delivered the original document to our office, either in person or by post. ▪ Send us a copy of the document to be translated by e-mail or by post. ▪ The translation will include a statement that it has been made using an unverified copy, and it will be delivered as you have requested (by post or picked up from our office). ▪ Bring the original document to our office. ▪ The translation will be delivered as requested by the client (by post or picked up from our office). ▪ Send the original document to our office as a registered letter. ▪ The translation and the original document will be delivered as a registered letter. Postage and handling fees will be added to the price.